Any LiBrow or LiLash order. If the eyes are the window to the soul, your lashes must be the doorway. Get longer, fuller eyelashes and fill out your eyebrow with revolutionary, purified serums from LiLash. Apply an eye-catching LiLash coupon code to your order to save big and put a lid on the price. Let’s face it, a radiant look makes a lasting impression. Turn heads with dazzling eyelashes and eyebrows framing your face and bringing out your natural beauty. LiLash concentrated, physician-formulated serum fortifies and conditions lash follicles to maximize its stunning effects with minimal application. This magic mascara is set to have you camera ready with stronger, longer lashes. Stop messing around with glues, fake lashes, and extension and get the natural solution. Add LiBrow to the mix and turn heads with more youthful, thick eyebrows. Stop struggling with pencils, powders, and fillers that don’t work. Simply apply LiBrow to your brow once or twice a week and improve the health of your hair. Both LiLash and LiBrow products come with an eye-raising 90-day money-back guarantee ensuring you get results you love. Don’t blink and miss out on this opportunity. CouponPal works with LiLash to bring you money-saving deals that are nothing to bat an eye at. Take advantage of our incredible LiLash coupon codes and get the best price on the latest makeup technology today. 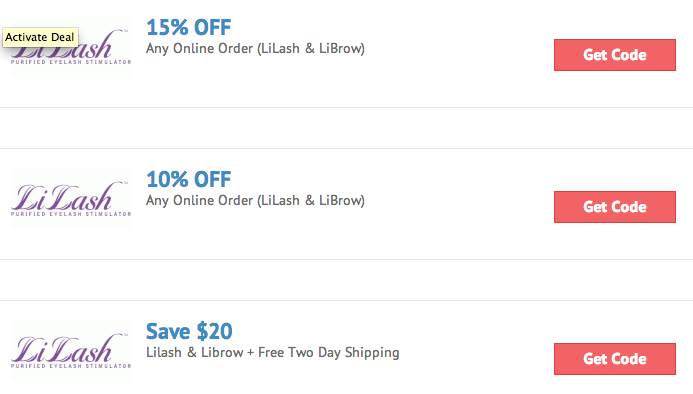 LiLash.com offers many coupon codes and deals for their main products, LiLash and LiBrow. 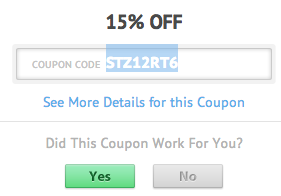 These coupons can be redeemed online for huge discounts and free shipping. For deals with a code, here's a step-by-step guide to make sure you get maximum savings. Once you find the deal you want, just click it. This page will redirect to LiLash.com and a new window with the code will open. Highlight and copy the LiLash.com coupon code in the new window. You'll need this code at checkout, so keep the window open in case you need to copy the code again. Find the products you want and click on “Add to Cart.” Then at the next "checkout" window, confirm your order. Step 4: Sign into your account. Enter your email address and password. If you are a new customer, register a new account and fill in your name and billing address. Step 5: Enter the LiLash.com coupon code. 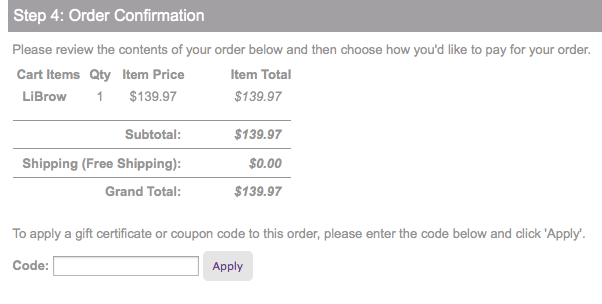 At step 4 ("Order Confirmation") of the Checkout process, copy the LiLash coupon code into the "Code" field then click on "Apply." You should see the discount applied to the price when you get to the checkout window. Confirm the discount, review your order, and then submit the order. Say goodbye to messy faux eyelash kits. LiBrow and LiLash are super concentrated, nutrient rich formulas that make your eyelashes and eyebrow appear fuller and thicker with continued use. With free worldwide shipping and a 90-day money back policy, why would anyone not want to buy their own supply of LiBrow and LiLash? How does LiBrow and LiLash work? LiLash works by fortifying and conditioning your eyelash follicles, which enhances their natural beauty. Enjoy less annoying lash breakage with the strengthening and conditioning formula. LiBrow works much the same way except it is for your eyebrows. This is useful for women who have over plucked over the years, and want to grow out fuller and darker brows. Use the LiLash application brush to draw a thin line along the edge of your upper eyelids. Do not use this product on your lower lids, or directly on the eyelashes, because irritation will occur. The LiBrow is applied directly to the brow ridge. If you notice any redness or swelling discontinue use immediately. You may be having an allergic reaction to one of the ingredients. Cosmetics Pros, the manufacturer of LiLash and LiBrow, does not recommend that pregnant or breastfeeding women use this product. The good news is that according to Cosmetics Pros they have never received any reports that their beauty products changed the color of someone’s eyes. This question gets asked frequently for some reason. If your credit card has been charged erroneously Cosmetics Pros asks that you contact them via the form on their website. I received an error message at checkout. Did my order go through? If you receive an error message at check out, the company advises you to place another order, because it may not have gone through. How do I return my order if I’m not satisfied? 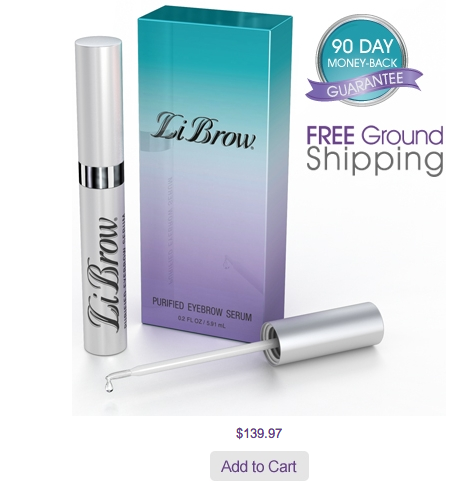 To facilitate a return, first you have to create an account at the LiBrow and LiLash website. Then you fill out the online form to request an RMA number. Clearly indicate the RMA number on the outside of the packaging when you ship it back to Cosmetics Pros. After the shipment is received, the refund should appear on your credit card within 3-5 business days, minus the cost of shipping. Where is the LiBrow and LiLash headquarters?